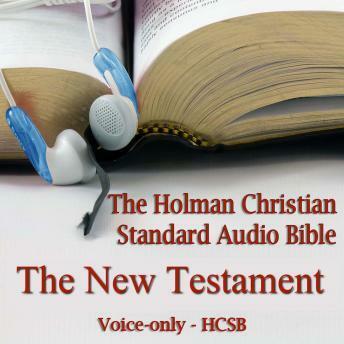 The Holman Christian Standard Bible is one of the most accurate translations of the scriptures. Let professional voice artist Dale McConachie, narrator of over one hundred audiobooks, take you on a journey through God's Word, where you will discover His holiness, love, power, mercy, and grace. Do you often feel you're too busy to sit down and read the Bible, yet you know you need time with God? Well now you can hear from God from virtually anywhere with this digital recording of the Holman Christian Standard Audio Bible. Dale McConachie's goal in recording this is for you to feel, when driving down the road, as if your best friend is in the front seat reading the Bible to you. It is the reader's prayer that many will let the Word of Christ richly dwell in them. People in all fifty states and most foreign countries have purchased audio Bibles recorded by Dale.